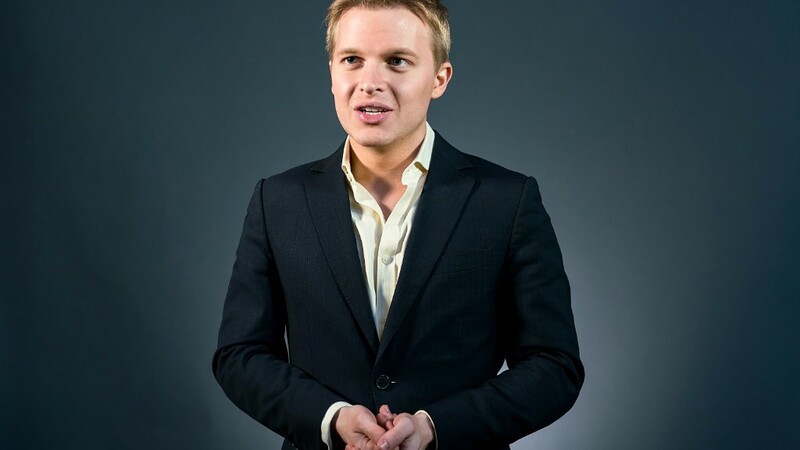 Ronan Farrow was working for NBC News when he began investigating Harvey Weinstein. But his bombshell reporting ended up at The New Yorker instead. What happened? It's always been something of a mystery. Now he's getting ready to speak out. Farrow is writing a book called "Catch and Kill," a new look at his reporting about Harvey Weinstein and other men who abused power. The book deal was announced on Friday. "Despite the enormity of the conversation his reporting helped ignite, some of the most astonishing disclosures about what he uncovered are still to come," Little, Brown publisher Reagan Arthur said in a statement. One of those disclosures will involve NBC, according to a person with knowledge of the book deal. Farrow has been waiting to tell his side of the NBC story -- in part because he didn't want to distract from the harrowing accounts of women who were mistreated by Weinstein. Last fall on CNN's "Reliable Sources," he said, "I don't want to become the story right now. There may be more to say about that later." His book is the "later." Farrow will detail his interactions with NBC News executives, the source said. Farrow taped multiple interviews in early and mid-2017, and believed his Weinstein investigation was ready for broadcast. But NBC disagreed. The network essentially told him to take the story elsewhere. He did, and The New Yorker published it in October 2017, just a few days after The New York Times published its own investigation into Weinstein. The two publications recently received the Pulitzer Prize for public service in recognition of the reporting. Within the halls of NBC, some staffers view the episode as a giant and embarrassing missed opportunity. Farrow left NBC altogether, and he has continued to break stories for The New Yorker. Earlier this week, he co-bylined a story about abuse allegations that resulted in New York Attorney General Eric Schneiderman's resignation. There have been conflicting accounts about why NBC tabled the Weinstein investigation. Did the network's executives not have the stomach for the inevitable legal threats? Were they trying to protect relationships in Hollywood? Did they simply believe that the complicated story was better suited to a long-form or print format? Or were there other reasons? The official answer at the time, from NBC News president Noah Oppenheim, was that "we didn't feel that we had all the elements that we needed to air it." Farrow apparently has a different account. He hinted at it on Friday when he responded to journalist Yashar Ali's tweet that "NBC executives doubting @RonanFarrow's ability to report out a story is one of the biggest mistakes a news organization has made in the past decade." Farrow replied, "Doubting my ability is not what happened at NBC." Last month Farrow released his first book, "War on Peace," about the state of American diplomacy. He has already started writing "Catch and Kill." In a statement on Friday, he said, "It's been important to me to keep the spotlight focused on the survivors of sexual violence who risked so much to speak to me and other reporters whose work I admire. I've also always said that the questions about the behind-the-scenes mechanics that suppressed these revelations are legitimate — and that, when enough time had passed, and once I had marshaled the evidence needed to tell this story, I would find a way to do so. 'Catch and Kill' is that story." The publisher has not yet announced a release date.